According to CAREERBUILDER, 70% of employers are now snooping candidates’ social media profiles (outside of professional channels such as LinkedIn). Are the feelings I have about this social post just a reflection of my own personal beliefs, or could this actually lead to real problems in the workplace? Invite relevant people to the “screening conversation” to discuss what type of social media content is considered a potential deal breaker in the hiring process, and together, get clear about what works and doesn’t work for the company as a whole. And if a profile is set to private, respect the candidate’s privacy setting and don’t try to weasel your way around it. Whether you’re a leader or individual contributor, it’s basic consideration to take your employer (or potential employer) into account when posting on social media. When you sign on to the mission of your company, you loosely become a representative. Although what you post on social may be completely unrelated to work, if the content of your message goes directly against the values of your company or what your company stands for, that’s a contradiction. And, it would only make sense for an employer and the people you work with to have an issue with this. A good rule of thumb whether you’re a CEO, team leader, HR professional, or contributor, is to not bad-mouth your company or anyone you’re working with on social, and to not post anything you wouldn’t want your boss to see (because there is always a chance they will). If you have an issue with a coworker or some aspect of your job, tap into your courage and address the problem directly through conversation. With that said, if you feel particularly passionate about a public post you’ve made that your employer is unhappy about, it’s not unreasonable to stand your ground and say, “This matters to me, and I’m going to keep this message public.” Keep in mind that your employer may not support this, but if you feel strongly enough about it, you can walk away feeling good that your decision was aligned with your truth. If you’re an individual contributor, know what your employer expects in this area, and if it hasn’t been communicated, ask. As an employer, consider creating a formal list of social media Dos and Don’ts so that employees understand up front what works and doesn’t work for the company. Whether you decide to go this formal route or not, it’s important to quickly address issues that do arise. This provides an opportunity to set clear expectations with employees, keeping the best interest of the company in mind. 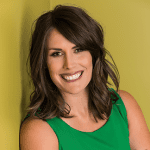 Stacey Engle leads the Marketing team at Fierce, a global leadership development and training company that transforms the way companies communicate and connect with their employees and their customers. Fierce partners with our clients to build conversational skills that result in high levels of candor, engagement, innovation, cross-boundary collaboration, and accountability at all levels within the organization. 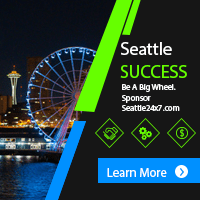 They are headquartered in Seattle, with global partners in 11 different offices.